I believe FACT is stranger than FICTION. And often the BEST fiction is solidly founded in FACT. 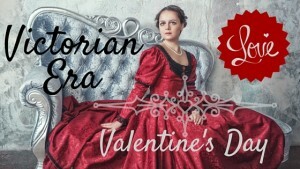 Hence my keen interest in the truth of Matrimonial Agencies, Matrimonial Personal Advertisements, and real-life stories of couples connected through the mail in the nineteenth Century. This one is bizarre. Don’t most of us want to believe that clergy are above reproach? 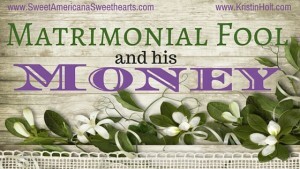 That all ministers and preachers and pastors and priests are completely honest and exactly what they seem to be? 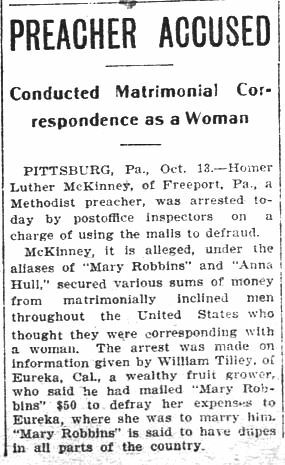 Preacher Accused of Conducting Matrimonial Correspondence as a Woman. Published in The Saint Paul Globe. Saint Paul, Minnesota. 14 October, 1904. 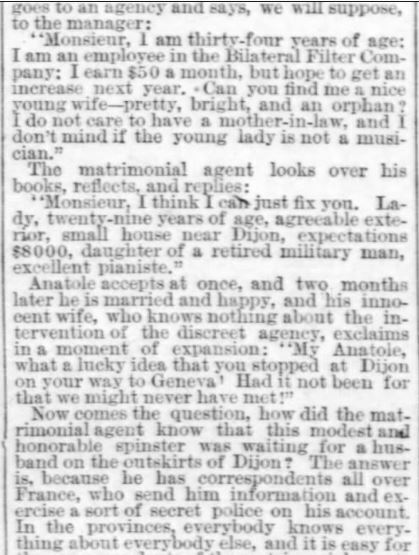 This newspaper story comes from The Times-Democrat, a New Orleans, Louisiana Newspaper from Sunday, 24 April 1887. This scam had me riveted. It reads like fiction! The Times-Democrat. New Orleans, LA. 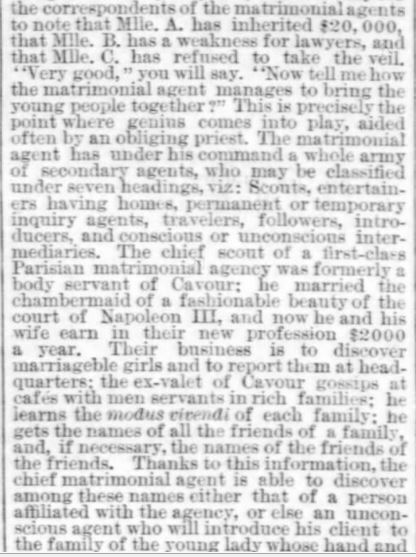 24 Apr 1887, Sunday. 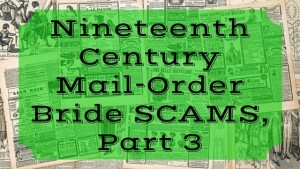 Miss Leal AND Mail Order Bride scam. 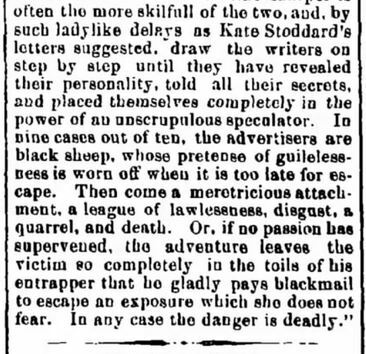 A separate scam, reported in The Herald and Torchlight, Hagerstown, Maryland, 6 August, 1873 wherein lovely correspondence gives way to blackmail and financial extortion. 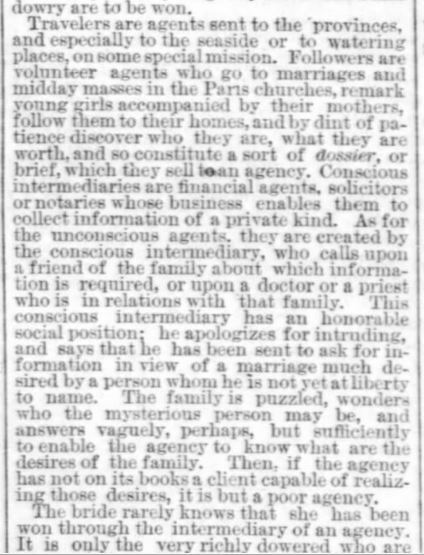 Article reported in The Herald and Torchlight, Hagerstown, Maryland. 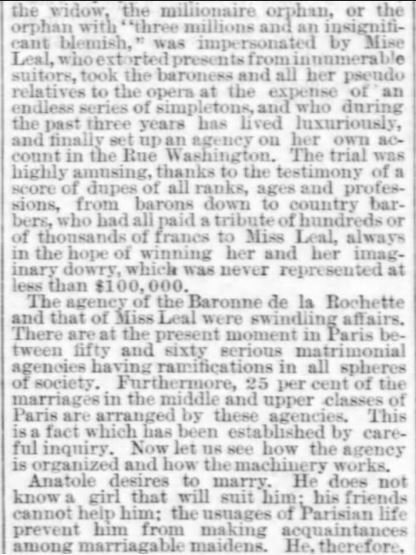 6 August, 1873. Part 1 of 2. 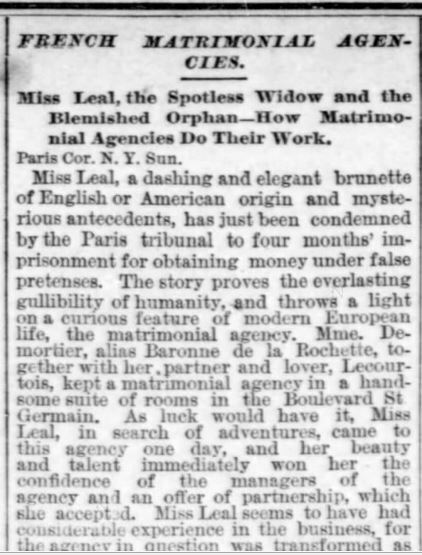 Article reported in The Herald and Torchlight, Hagerstown, Maryland. 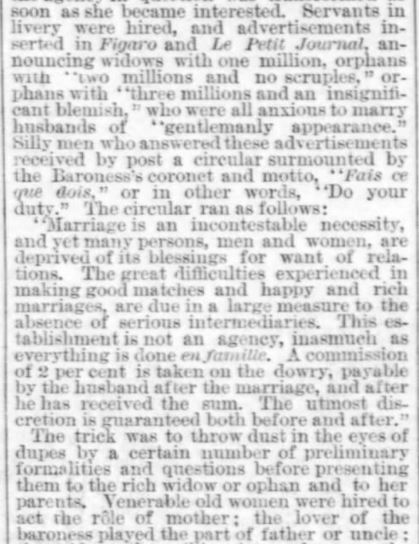 6 August, 1873. Part 2 of 2. 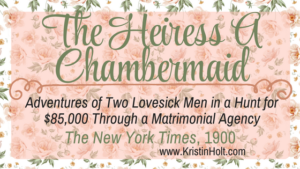 Are you as shocked by the lack of decency in the nineteenth century “Love By Mail” segment as I am? I’m appalled so many preyed upon others during a time so many see as gentler, more refined, exquisitely mannered. 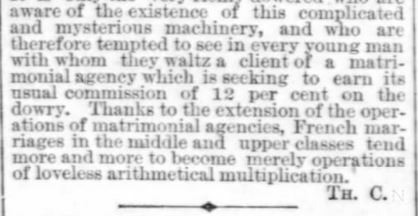 It seems cads have always existed and if a system exists, crooks will exploit others through it. 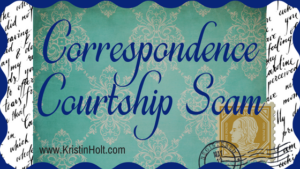 Please share this article with anyone you know who would find the content interesting. Thank you! 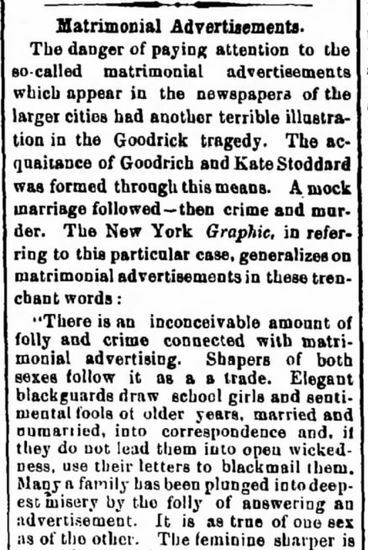 Note: Throughout this Article, all newspaper clippings/references were obtained from newspapers.com. 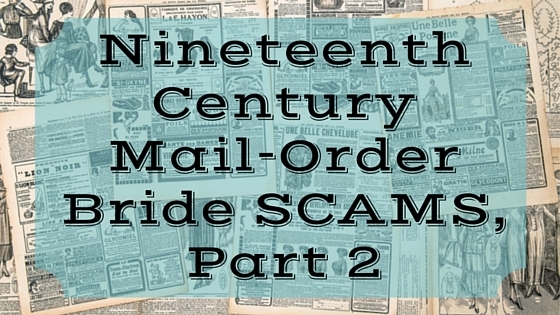 Nineteenth Century Mail-Order Bride SCAMS, Part 3, wherein a man with two wives (neither knows about the other) seeks yet two more… entirely to swindle them of their means.